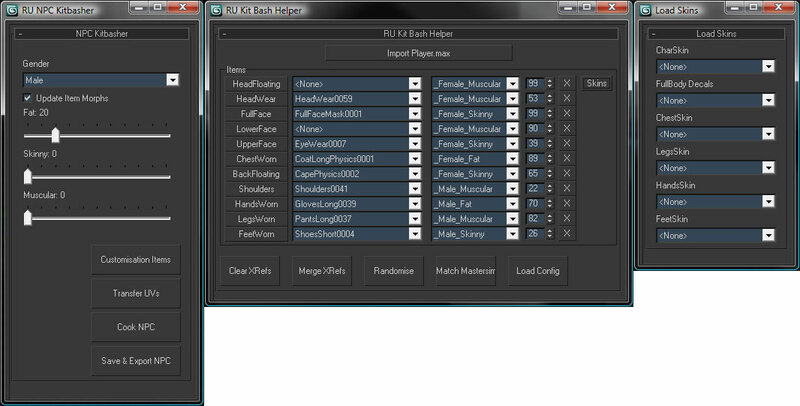 This was developed to allow for rapid creation of NPCs from existing player customisation items, body types, and face morphs. Settings can be individually or globally randomised (eg. for quick preliminary blockout). UV layouts are automatically rearranged to fit a single texture sheet, with quick access to the instanced UnwrapUVW modifier to optimise the global layout.